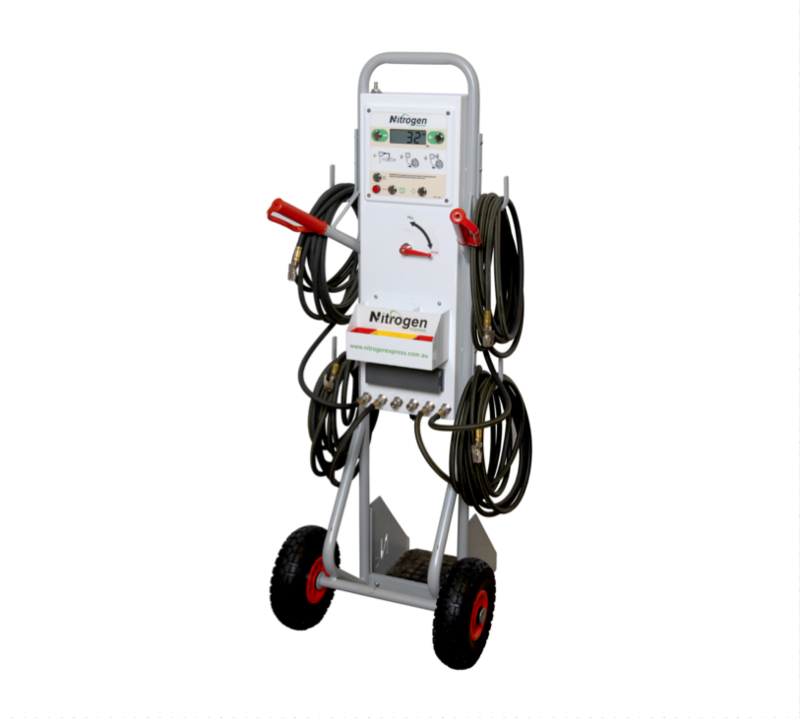 Offers a portable stand alone solution for Nitrogen filling of tyres. Simply connect the unit to a fixed Nitrogen source such as a generation system or fixed bottled supply. The rugged mobile trolley unit enables ease of use in motor racing pits, workshops, tyre stores, fleet control, lube shops and auto dealerships. The TR6 is supplied with 6 hoses fitted with clip-on closed chucks. The integrated accessory box provides storage compartments for chucks and other components such as valve cores and caps.